Le Club AccorHotels has launched new promotional for Turkish Airlines Miles&Smiles program member stays between November 1 – December 31, 2017. Miles&Smiles members can earn triple miles for their stays (unclear if this is for a stay or for stays) if booked between October 25 – December 31. Note that you must have your Le Club AccorHotels earning preference set to partner miles/points and Turkish Airlines Miles&Miles set as the preferred partner. You must also activate the automatic conversion of points to miles after each of your stay. The promo page is really confusing. The promo text refers to STAYS and the T&Cs only to one stay. Usually these airline related bonus miles promotions are for multiple stays. Cannot remembers a single one that would have only been valid for ONE stay. 1. General Le Club AccorHotels terms and conditions apply to the [Miles&Smiles] offer and you must be Le Club AccorHotels member to benefit from it. In order to benefit from this offer, the member must have activated [Miles&Smiles] as their preferred automatic conversion option ahead of the stay. This option should remain activated until the member receives the points (Rewards points and Status points) related to his/her stay on his/her Le Club AccorHotels membership account. 3. This offer is valid for a member’s stay from 01/11/2017 to 31/12/2017 in one of the participating hotels in [worlwide], and booked between 25/10/2017 and 31/12/2017. 5. Any consecutive stays (check-out and check-in same day) in the same hotel, will be considered as a single stay. This single stay will be eligible once to the [Miles&Smiles] offer. 9. 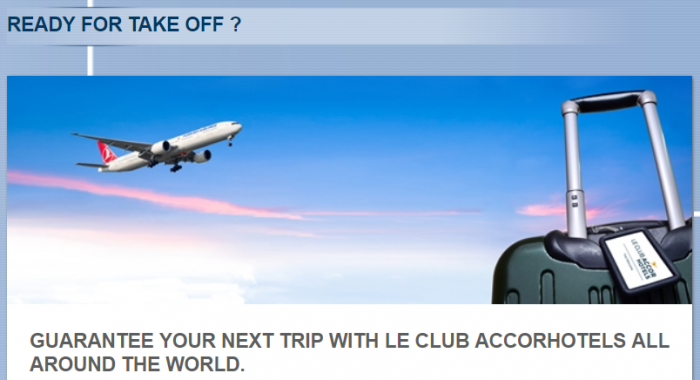 The Le Club AccorHotels Rewards points bonus is credited within 10 days following the end of his/her stay and converted within 6 weeks into [Miles&Smiles] according to applicable conversion rule. 13. This campaign is eligible only for one stay per member. Please specify the reference 50871 in all your communications with AccorHotels call centers or customers care services related to this offer.